Join us for a nighttime walk to listen to the sounds of the Sanctuary. Along the way we will call for owls and if we are lucky they will call back. 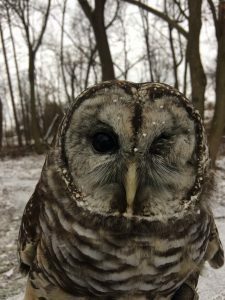 A special visit from one of the Sanctuary’s ambassador owls will happen at the beginning of the program. Please dress for the weather.